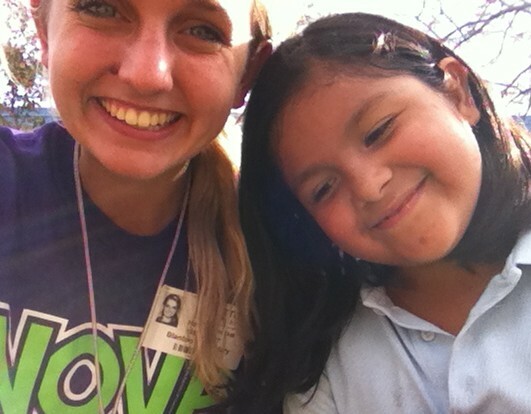 God has blessed me with the opportunity to spend an hour a week with my precious mentee, Oralia. Over the last 3 weeks we have been getting to know each other and have had an absolute blast! On my first visit I brought some markers and paper and we wrote down our favorite things to do, interests, etc. the best thing to remember the first time is to leave any expectations for what YOU want your mentee to enjoy at home. It’s great to get to know them on the first visit and plan around their needs for next time. Over the next two visits Oralia and I listened to her favorite artists, Salena Gomez and Taylor Swift, while chatting about school and boys and Even tie dyed t-shirts. I talked to the other mentors that visit on the same day as I do and organized a scavenger hunt for all of us next week. There’s nothing more rewarding than being asked for help and knowing someone needs you. My mentee comes from a Spanish speaking house hold and I found out a good way to build a relationship was to ask her for help with my Spanish. I always ask her what things mean and how to say different things correctly. She always enjoys helping me and laughing when I say funny things that do not make sense. The only obstacle I’ve come across so far was learning that my mentee was not involved in religious activity. It has been hard for me to find a way to let a 4th grader know about Jesus without being too pushy. I have found the best way to show God’s love is to love her in everything she does. I often tell her funny stories or fun things I do with my youth group in hope that she will open up about it. I have faith that through the next few months we will be able to openly discuss it and I will work diligently to show her the grace of God through my actions towards her. I know that God has wonderful sharing and learning opportunities in store for me and my mentee. I am blessed to be a blessing.